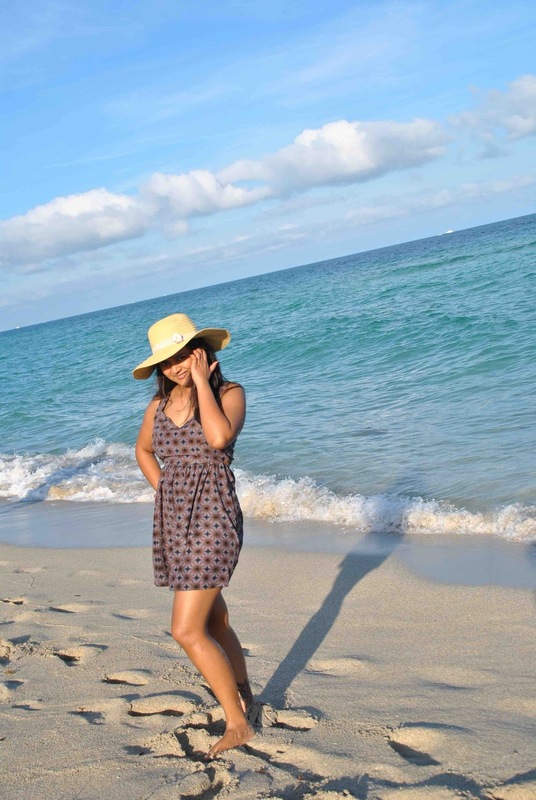 Hola, Summer is here and when it is I love spending time on beaches. I prefer bright colors and prints when it comes to shopping beach dresses. Small to medium prints on beach dresses is preferred. I like the open back tie knot style of this beach dress, I don't really like the dull color but made a exception this time. I usually keep my look simple when I wear beach dresses no make-up, minimal jewelry and obviously no heels ;) I have paired this beach dress with Hawaiian white flower ear rings and red flats. 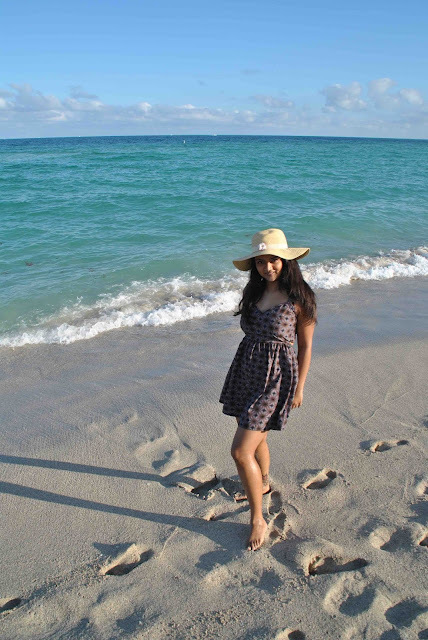 I love Miami Beaches and sharing pictures from my last visit to Haulover beach. Miami sounds like one cool beach and you totally rock. Did they tell you?! Hehe The swan and the amazing beach. Lovely beach and you are looking amazing! You looks stunning, Ananya. Cute hat! Love that dress, and I think it is perfect for the beach! Super cute! I wish I were there! I love open back dresses, yours is so pretty! That beach looks crazy good! I would so love to be there right now! And I definitely like the dress you are wearing- perfect for summer! And you look beautiful too :). Best time of the year, love your coverup!